CNC billet alloy rear drum brake arm to fit the SR500 & SR400. This is a high quality CNC machined billet alloy rear drum brake arm. Mates nicely with our aluminum alloy swingarm. Center to center length of the mounting holes is 315mm. 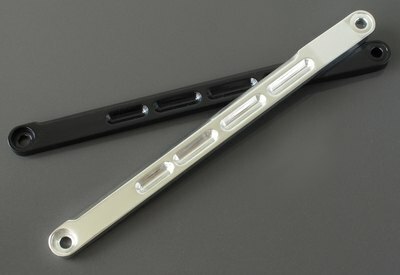 Available in silver or black anodized finish.